Unisex minimal black sweatshirt with zipper in the front. 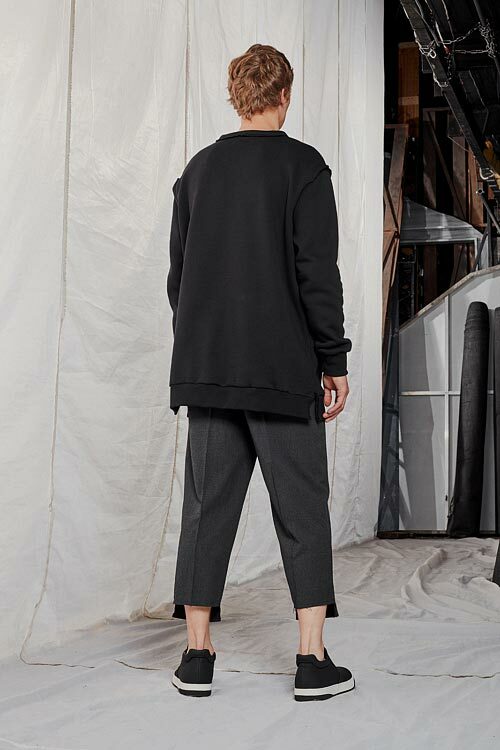 Sweatshirt has elastic rib in the bottom and raw seams which gives it an edgy look. Sides of the sweatshirt are with slash and raw edges. Urban sweatshirt can be worn with a classic or sporty looks.